Thank you so much for the post. 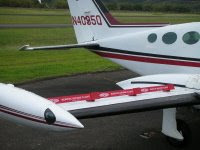 I look forward to our product providing added wind protection to aircraft parked outside. Feel free to contact us at any time.